O almighty God, by whom we are graciously knit together as one communion and fellowship in the mystical body of Jesus Christ, our Lord, grant us so to follow Your blessed saints in all virtuous and godly living that we may come to those unspeakable joys which You have prepared for those who sincerely love You; through our Lord Jesus Christ, Your Son, who lives and reigns with You and the Holy Spirit, one God, now and forever. Amen! A good exposition of “the communion of saints” is also given to us in Hebrews 11, where the preacher takes us through a crash course on the saints of old and commends them for their faith (cf. Hebrews 11:1-2). Then, on the other hand, I also mentioned that, in Greek, the word for “saints” can be either masculine, referring to people, or neuter, referring to things. Thus, “the communion of saints” can be taken to mean “the communion of sainted, or holy, things.” This is the way that Peter Abelard, the great twelfth century French theologian, understood this phrase. In this case, the phrase, “the communion of sainted things,” was understood to mean the holy things of God: His Word, baptism, and the Lord’s Supper. The Lutheran confessors actually incorporate both understandings of “the communion of saints” when they write, “The Church is the congregation of saints [sainted people] in which the Gospel is purely taught and the Sacraments are correctly administered [sainted things]” (AC VII:1). Thus, the Church is made up of the sainted people of God gathered around the sainted things of God! But there is yet more to this phrase, “the communion of saints.” The Greek word for “communion” in the Creed is koinonia, a term that, even in secular Greek, describes not primarily communion with other human beings, but communion with God. For example, the first century Greek philosopher Epictetus wrote of the noble man in his “poor mortal body thinking of his fellowship (koinonia) with Zeus” (Epictetus, Discourses 2.19.27). Thus, even in the pagan mind, man desired to have koinonia with god, albeit a false god. This word koinonia was then commandeered by the Christians to describe communion not with false, pagan gods, but with the true God: “God is faithful, by whom you were called into the fellowship (koinonia) of His Son, Jesus Christ our Lord” (1 Corinthians 1:9). We have koinonia with Christ. The phrase, “communion of saints,” therefore, refers not only to the communion Christians have with each other, but to the communion they have with Christ. For without a communion with Christ who is the One who makes saints in the first place, there would be no saints to have communion with each other! Finally, then, to say, “I believe in the communion of saints” is to say, “I believe that I have communion with Christ. I believe that He meets me by His Word and holy gifts, cleanses me by His blood, and sanctifies me by His Holy Spirit.” But saying all that is a mouthful. And so we simply say, “I believe in the communion of saints.” A simple phrase that means so much. For it describes not only who we are, but who we are with. We’re with Jesus. And being able to be with Jesus makes me feel like – well – a saint. Entry filed under: ABC Extra. 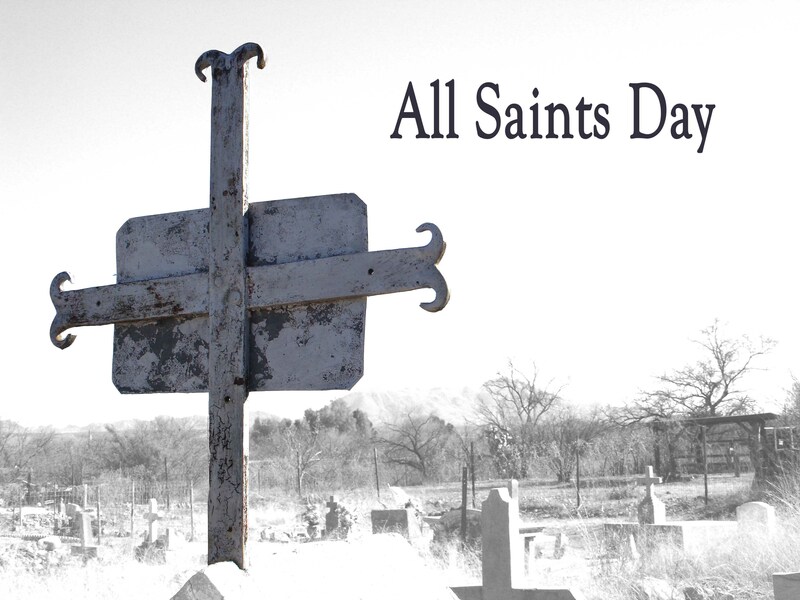 Tags: All Saints Day, Communion of Saints, Epictetus, Nicetus, Peter Abelard, Saints.